dreams lost to the night sky. 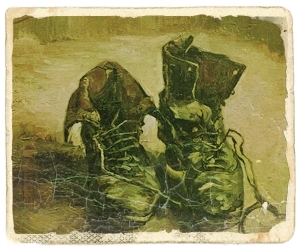 This entry was posted in poetry and tagged poems about paintings, Van Gogh by Elaine. Bookmark the permalink. I fully enjoyed this piece of poetry and felt each wrinkle and fold in those traveled shoes…….mike. It is a painting by Vincent Van Gogh.